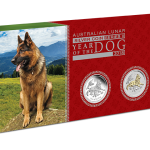 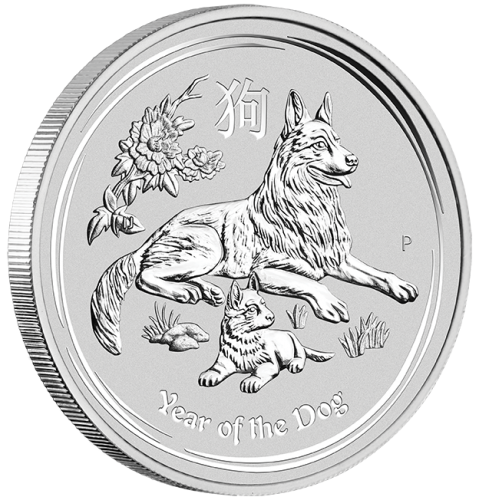 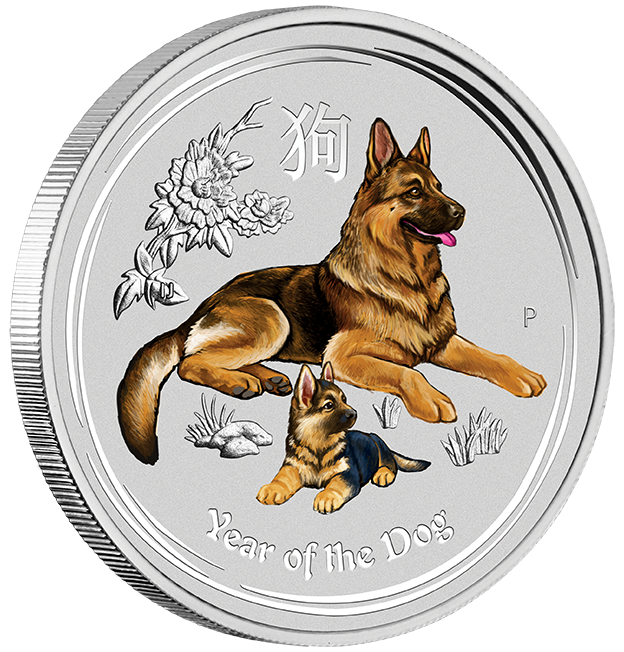 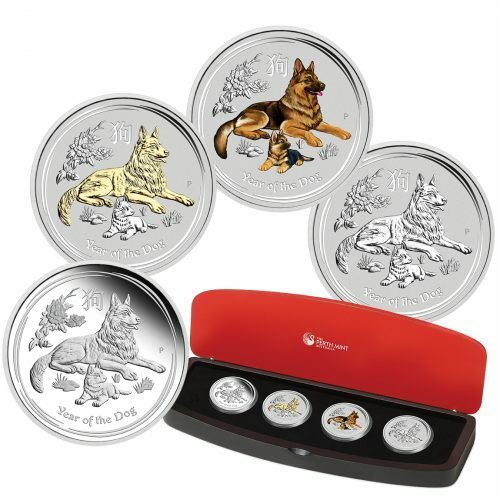 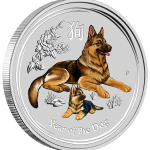 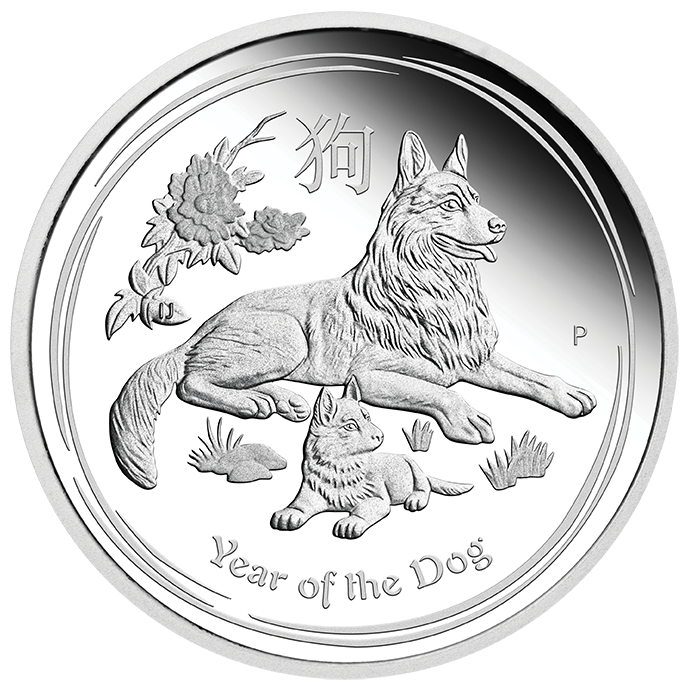 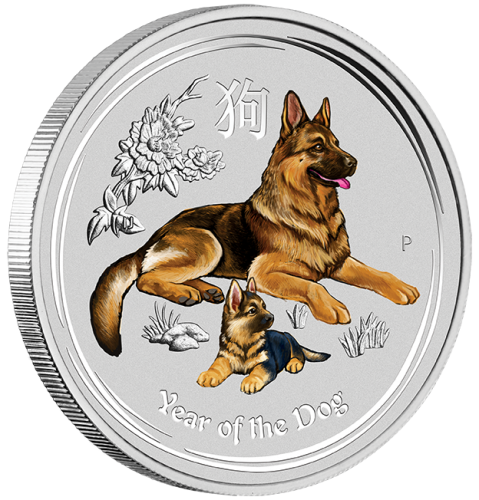 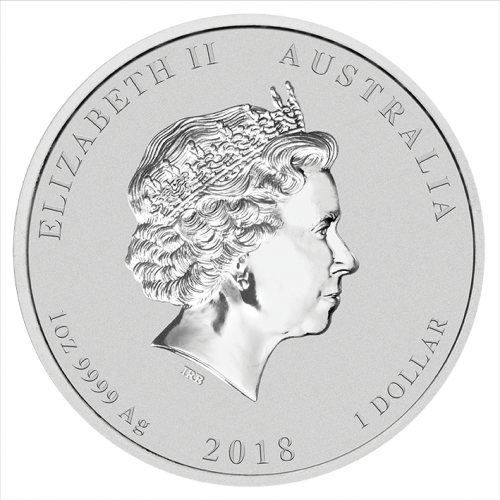 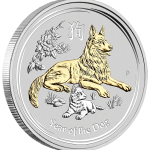 The typeset collection comprises a 1oz proof, bullion, gilded, and coloured coin from the Australian Lunar Silver Coin Series II – 2018 Year of the Dog. 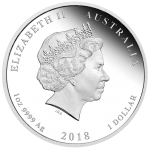 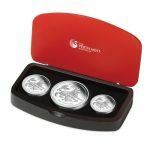 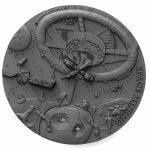 Struck by The Perth Mint from 99.99% pure silver, each coin is issued as legal tender under the Australian Currency Act 1965. 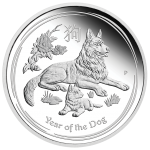 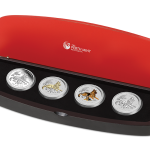 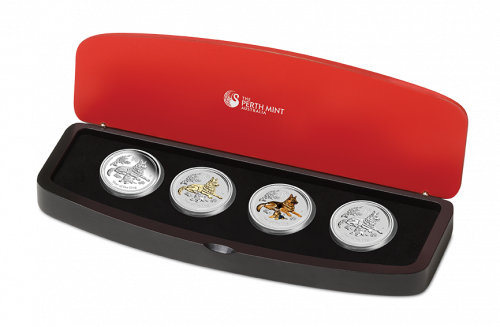 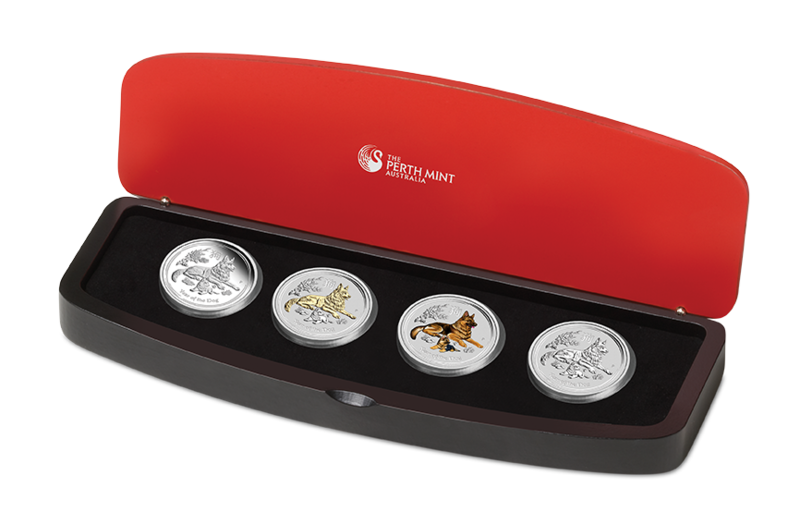 The Perth Mint will release no more than 1,500 of the 2018 Year of the Dog 1oz Silver Typeset Collection in this packaging from the following maximum mintages: 8,500 (proof), 300,000 (bullion), 50,000 (gilded) and 170,000 (coloured). 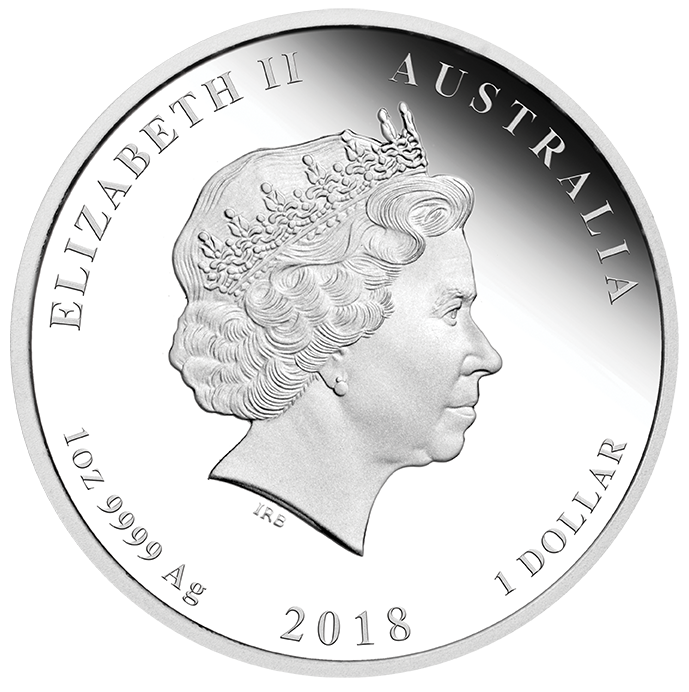 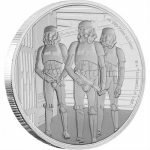 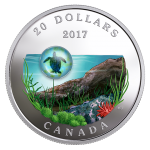 The delicately frosted design on the silver proof coin appears on a polished table. The gilded edition highlights the dog in 24 carat gold. 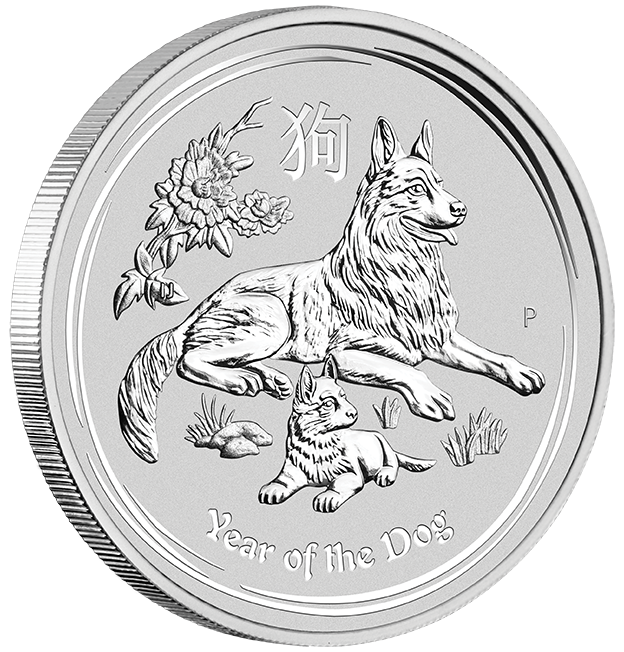 The coloured edition depicts the dog and the pup in vivid colour. 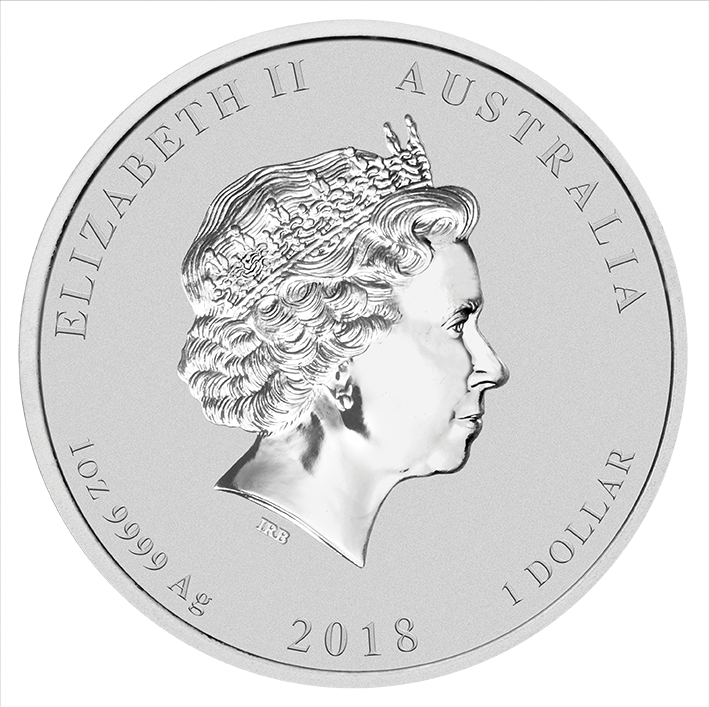 The shiny design on the bullion coin appears on a frosted table.